Waterloo Automotive is an independent car care facility located in downtown Waterloo, illinois. Our skilled staff has provided quality car care in waterloo since 2004. Here, we are dedicated to providing the highest level of auto and customer service available. We maintain a friendly, fair, and creative work environment, which respects diversity, new ideas, and attention to detail. Because we place value on these qualities, we have a positive work environment that transfers over into the service we provide our loyal car care customers. Simply put: Customer satisfaction is to be expected. Our customers are intelligent people who want to make well-informed decisions regarding their car care & repairs. It is our mission to educate our customers about the condition of their vehicle and advise them on the car care required and maintenance recommended for the safe and continued operation of their vehicle. When it comes to cars, its condition is often a direct reflection of the care it receives. So, how do you increase the longevity of your car? A vehicle that is well cared for is more likely to stand the test of time, something that every car owner can appreciate. When you visit our Waterloo auto shop, you will leave with more than a standard oil change and fluid top-off. What makes our facility so special is the fact that our skilled professionals care about providing quality car care. We don’t hire auto technicians who are just looking to check items off a to-do list or who try to up-sell customers on services they do not need. Rather, we go the extra mile to ensure your car is in tip-top condition. There is more to good car care than getting the routine oil change and tune-up. One of the most important things a car owner can do is stay ahead of car problems. How can this be done? Well, if your car is running how it should be, it will be easy to identify any unusual car activity, allowing you treat an issue before it becomes a problem-issue. Below see a comprehensive list of how we can assist you with your car care needs. 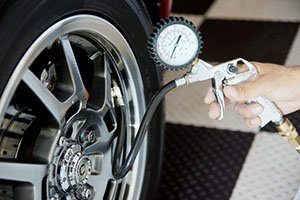 Ready to take your car care regimen to the next level? We have just the team of car professionals to help. Please contact us to schedule car care service, or to talk to a ASE-certified master technician who can determine your car care needs. Waterloo Automotive is an independent repair and car care facility. Whether your car needs some basic maintenance or it is in need of a large repair, our skilled auto technicians are prepared to handle your needs. The way it works is simple: We are dedicated to providing the highest level of car care and customer service available. We maintain a friendly, fair, and creative work environment, which respects diversity, new ideas, and attention to detail. The result? Amazing, comprehensive car care service that will leave you and your vehicle satisfied. Our Waterloo customers are intelligent people who want to make well-informed decisions regarding important car care decisions, such as vehicle repairs and maintenance. Because of this, it is our mission to educate our customers about the condition of their vehicle and advise them about repairs that are required and maintenance-recommended for the safe and continued operation of their vehicle. We provide the information car owners need to know and leave the decision making to our customers. When it comes to your vehicle, you deserve the best car care available - something our Waterloo service center can provide. Partnering with us gives you peace of mind about the condition and treatment of your vehicle. Call Waterloo Automotive today or schedule an appointment online!